A hero is someone that you think in your mind is like a roll model or someone that has done something that you yourself think is good or just a cool thing to do. Heroes are people who do good deeds or have done something that no one has done. Things people can be heroes for would be something like winning the Olympics or donating lots of money to a poor country or maybe even saving the life of another would be a small hero. Things like these would only make you a hero to a small group but if you were to have won a war or saved a lot of people from danger lots of people would think of you as a hero. Heroes can be people who kids look up to as someone they think is big and safe to be around and do fun stuff with them. Moses had the power to walk across the desert to get to the Red Sea and broke a straight line straight through the Red Sea to save his people from being attacked. 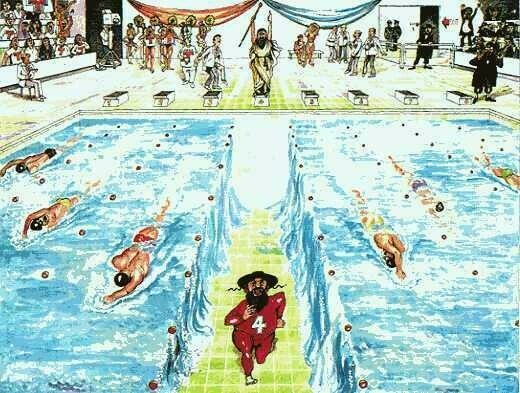 When the plague hit Egypt Moses took people and separated the sea to get away. Where they based themselves at Horeb and compassed the borders of Edom. It was at this time that Moses received the Ten Commandments. Despite living to the age of 120, Moses died before reaching the Land of Israel. Main types of addictions as of today. Hope you enjoy my thoughts on addictions. There were a lot of things that happened in these chapter and probably the most important ones to because in chapter 6 and 7 they are fighting and arguing and Ponyboy gets his back burnt when the old church gets burnt down which makes his useless now which is bad and then Johnny goes and breaks his back and is in the hospital and doesn’t want his mother to come and see him. They get in on the newspaper which then they cut and dyed there hair to look different because people are looking for them so they need to blend in a lot. My thoughts on these chapters are that things change a lot everyday of the outsiders. Which is good for a reading book because everyone will get interested in what might happen to the brothers from here on out. 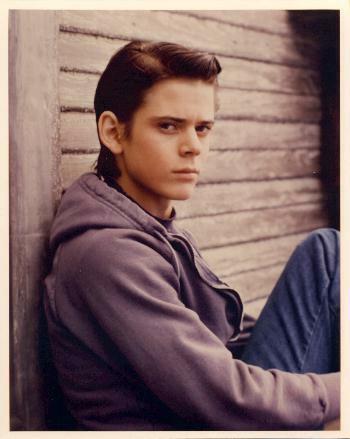 The thought of Ponyboy getting burnt is bad because no he is in pain for a long time and might not be able to help the only brother he has left. Johnny has now broken his back which makes me want to read on because I want to see what love these brothers really have for each other. I also want to see how the friends work together to stop the Soc’s. In chapter 1 it tells about how ponyboy lives and who is all around him and then epople he doesn’t like. They also tell us about the greasers and the rich kids and also the Soc’s which are all gangs that are after eachother and ponyboy and his brother are also in the middle of it. Later on they meat up with these two girls who were not with the Soc’s and their names were Cherry and Marcia they went to a movie when they meat and after they needed to get home so they decided to give them a ride home so when pony boy and Valance got to his house they meat up with Soc’s but they just got in the car and drove away from them and dropped the girls and drove back home. 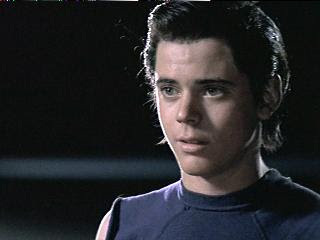 Ponyboy and his brother hate the Soc’s and Ponyboy is with the greasers so its like a battle. My thoughts on the first 4 chapters are that it is a story about love and hate and gangs and fights and choosing sides and doing drugs and other bad things. But its also got its emotional like how Ponyboy and his brother look out for each other and sometimes have rough times. The family is living together and are afraid that the Soc’s are going to do something bad with makes the book good because then people get interested in the book and want to read about what happens next and if they get attacked. What I’m trying to say is that this book is all about adrenaline and sacrifice. We have been doing some work in school that is pretty easy and fun which I like because I can get extra time in class. We also have a special dancer in the school for this week and he is teaching us about break dancing and all these cool tricks to that I didn’t even think that I could do and it is helping me flex so I might be able to do cool thing like that in the future. We have been given some work so far but nothing seriously hard like were going to have later on in the year. But I am a pretty smart guy so it shouldn’t be to hard. I am really disappointed that the summer went by so fast and already in the next school year. My best subject is math and science because that are what I find interesting to do and also I need them for me to get the job that I want which is an iron worker. I am not getting into any trouble yet this year and I hope I don’t because I want to change for the better and get high grades because I no I can. I like being in this class because there is some much different things to do other then high school but I really don’t mind high school. I have had no homework so far this year which is sweet because I don’t have to carry things back and forth from school to home then back again. Well I am going now to our break-dancing class so catch you later.